Nearly 150 years ago, Stephen Foster sat down and wrote a song about the unfortunates outside his cottage door. It was called Hard Times Come Again No More, and it was written during one of those times when the American Dream, for reasons no one fully understands, takes a four-story header into an empty swimming pool. The mournful tune, written in 1855, became one of the more popular songs of the Civil War era and it has been recorded by a long list of musical luminaries in our own time, including Emmylou Harris, Bruce Springsteen, Bob Dylan, Renée Fleming and James Taylor. Most recently, it was performed beautifully by Mary J. Blige on the Hope for Haiti telecast. Why would such an old tune have such resonance in our time? The obvious answer is that the hard times do come again, and again. Come Again No More is set almost entirely during the 1930s, a time of such widespread desperation that the jobless rate was more than three times what it is during our own Great Recession. The parallels between the two eras are so many that a writer researching the Great Depression can be brought up short by nuggets of information such as the news that Bear-Sterns and Lehman Brothers were called on the carpet by Congress to explain their role in creating the stock-market crash of 1929 – much as their successors 75 years later would take advantage of lax regulations to create another bubble market and another disaster. All that is public history, but it is the private history that intrigues a novelist. My parents survived the Great Depression – barely. They lost their farm in Nebraska, all their backbreaking labor gone up in a foreclosure auction. They joined the great migration to the West Coast, spent six months in Oregon and returned to Nebraska because my father couldn’t stand the rain. Come Again No More is the second volume of what I call the Paint Trilogy, based on the fictional Paint family and lives that intertwined with more than a century of American history. It could as easily be called the American Trilogy, because it is an American story to the core – the good and the bad. Like the first volume, Sun Going Down, Come Again No More is an attempt to fix an elusive quality, the American spirit. What it is that causes Americans to respond as they do (or as they once did) to war, famine, hard times, disasters. Sometimes the spirit is challenged in a much more subtle way. What kept my mother going during the decades or her disastrous marriage to my father? She was a soft-spoken intellectual, happiest when she was curled up with Balzac or Chekhov. 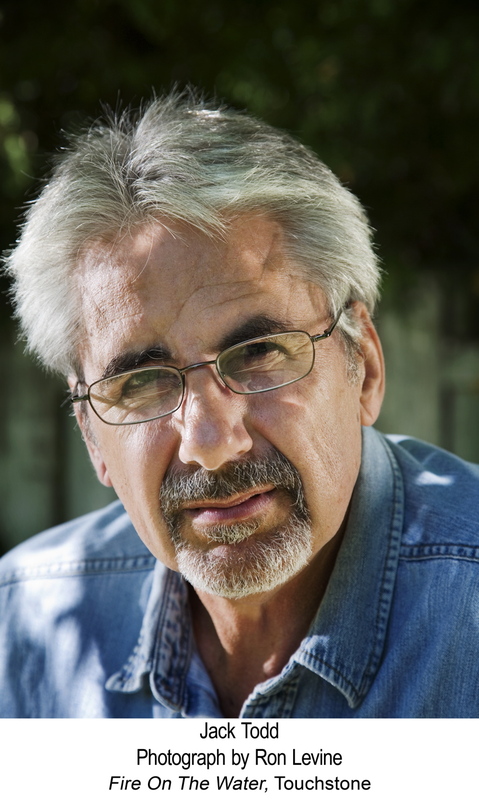 He was a rough-hewn and almost illiterate ex-boxer, happiest when he was getting into fist fights, breaking horses – and chasing women, which he did with conviction into his 70s. There are many lessons to be learned from the Great Depression: Don’t trust Wall Street would be the first one. Beyond that, there is an essential truth. Humans endure. Any historical saga has to deal with that essential point. Emaline and Jake McCloskey, the characters based on my parents, endure. So does Eli Paint, the tough old family patriarch based on my great-grandfather, Squier Jones. Eli survives a terrible car accident at the beginning of Come Again No More, marries for a third time after his second wife dies in a mental institution, loses half the hundred-thousand acre ranch it has taken him a lifetime to build and wins part of it back, and throws his considerable energies into reconciling with his headstrong granddaughter Emaline, who blames him for destroying her mother, who has died of tuberculosis as Come Again No More begins. The great aspirations of both Eli and Emaline are expressed, in the end, in an attempt to free a mustang stallion known as the Black and five hundred other wild horses destined for a slaughterhouse and a dog-food can. It’s a statement on freedom, the American Dream, rescuing what remains of our wilderness and the transcendant imagination that is able to rise above the money men, the small everyday tyrannies inflicted in bad times and good, the limits of lives that seem to have lost their heroic dimension. As the wild horses gallop to freedom west of the Bighorn Canyon in Montana, the human characters trailing them have survived another decade of hard times, the Great Depression is ending, and a war has begun in Europe. That is the topic of the third volume of the trilogy, The Rain Came Down. 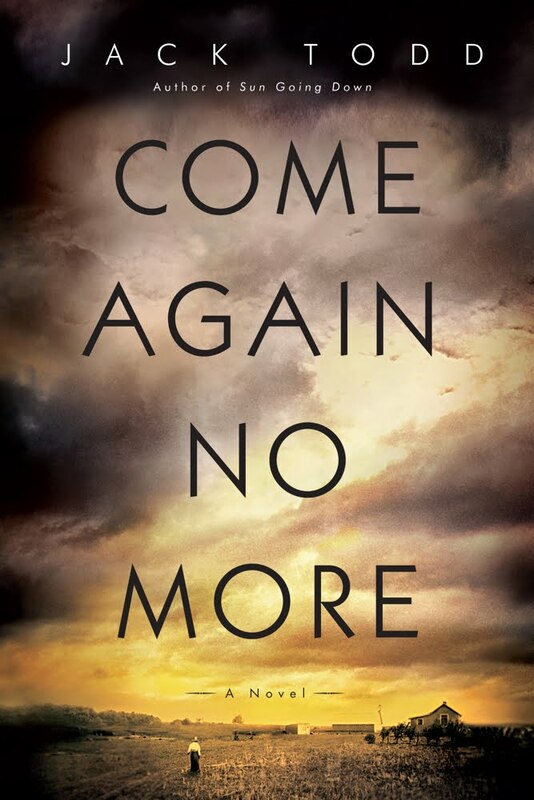 Thanks to the publisher I have one copy of Come Again No More to give away. To enter this giveaway, just fill out the form below! US addresses only, please, I'll close the giveaway on September 30th. Good luck!